A wide range of soaps and cleaners to clean hands in both office and manufacturing environments. In addition, our product line also sanitizes and moisturizes the employees’ hands, so they’re protected and their skin does not suffer from tough job assignments. Employers require an ever-expanding choice of soaps for employee needs. The reasons are two-fold: The wide variety of jobs in office, food preparation and industrial environments, and the fact that employees are more demanding and discriminating. We are responding with an ever increasing selection of soaps to meet the growing needs, so that you can meet your employees’ needs, and, at the same time, contain your costs. Providing specialty soaps for employees help avoid problems and demonstrate employers’ concerns for their employees. For example, some employees suffer from especially sensitive skin. When employers provide hypoallergenic soaps, the number of skin problems among employees is decreased, and employees sense concern on the part of the employers. 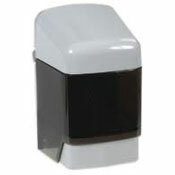 Failure to use dispensers dramatically increases usage and causes cleanup problems. 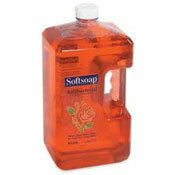 Without dispensers, employees use more soap, and often they spill and waste the soap in the containers available to them. When there’s spillage, the soap has to be cleaned up, and often this job is more difficult because of drying and the buildup of layers over time. With dispensers, usage levels are consistent with cleaning requirements and overuse is avoided, reducing supply and cleanup costs. Our soap manufacturers are the leaders, like Boraxo, Colgate-Palmolive, DermaPro, Dial, Gojo and Lever. We are able to provide a wide variety of soaps – like lotions, anti-microbial, sensitizing, moisturizing, hypoallergenic, pumice and waterless – in the most useful sizes and forms – including boxes, bag in box, pumps, gallons, bars and drums.